The winery is eyeing opportunities to buy wineries in Romania, Serbia, Croatia and Greece. Domaine Boyar is a leading Bulgarian wine producer and exporter to Europe, the U.S. and Canada. It holds more than 80% of Bulgaria’s wine exports to Britain, Belgium and the Netherlands. The company’s strategic goal is to become an EU-calibre player over the next three to five years by acquiring several wineries in EU-member states. Domaine Boyar recently won a tender to supply low-alcohol wines to Sweden. What prospects do you see for growth on this segment on other foreign markets and in Bulgaria? Yes, at the beginning of 2013 Domaine Boyar won a low-alcohol wines tender called by Sweden’s liquor stores operator, the only one in the country, amid very tight competition from leading global winemakers, which is why we value this achievement so highly. Until now, this category was non-existent on the Swedish market, and this makes it hard to come up with projections for the future. The initial order is to supply 120,000 bottles of white wine and rose. Earlier this year we decided to launch sales of low-alcohol wine in Bulgaria, as well, to a very warm reception, I am happy to say. I believe prospects for this type of wine are very good. I would single out Britain as one of our export markets where our low-alcohol wines sell very well. We have already succeeded in raising considerably our overall domestic sales, by 27% in terms of value since the beginning of the year. Which are your key export markets? Are you planning to expand exports? Our sales on all foreign markets have grown by between 4% and 11% so far this year. We maintained our market share in our key markets and considerably raised our exports to China, Russia and Sweden. In mid-2013 we signed a 10 million euro two-year deal with one of Russia’s biggest importers. Britain remains our key market. We have been present there for twenty two years and we are working with all the big retailers. Our wines often make the best buy wine rankings in the country, as well as in the U.S. Our wines often make the best buy wine rankings in the country, as well as in the U.S.
Domaine Boyar holds more than 80% of Bulgaria’s wine exports to Britain, Belgium, and the Netherlands. Canada and the U.S. are two other markets where we have a strong presence, the U.S. in particular. Two months ago a popular local magazine, Wine Enthusiast, ranked our Domaine Boyar 2009 Reserve Cabernet Sauvignon among its 100 best buy wines, which is a significant achievement for a Bulgarian wine. 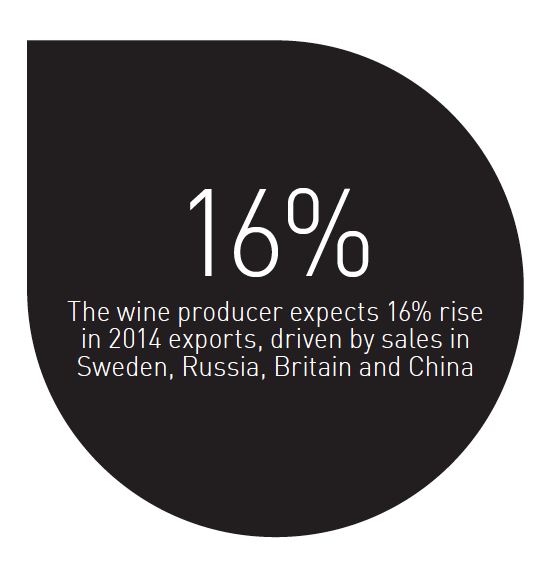 Growing interest towards our wines gives us grounds to expect a rise by some 16% in exports next year, mostly driven by sales in Russia, Britain, the U.S. and China. 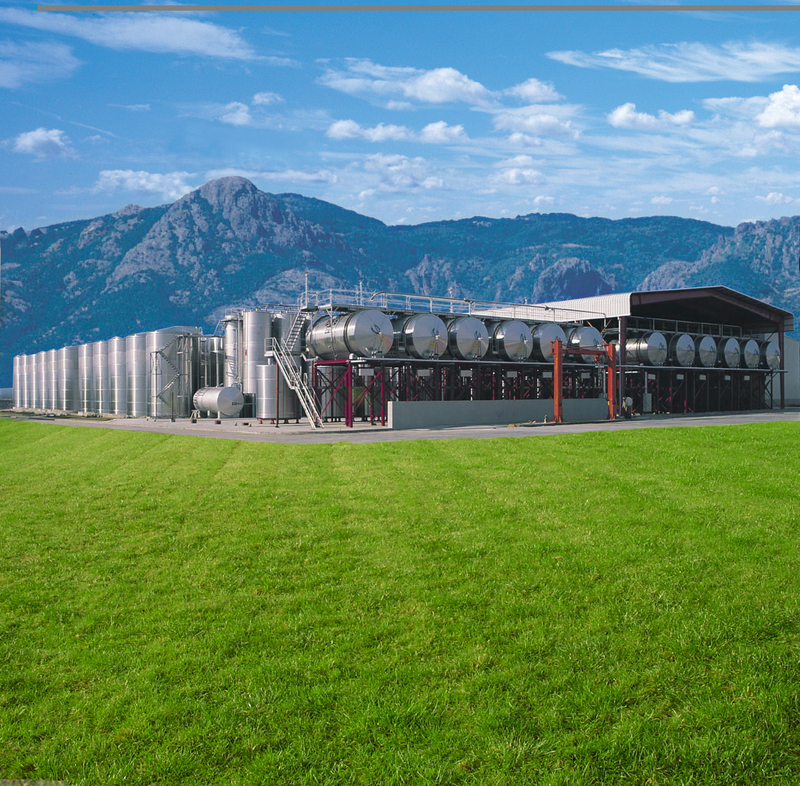 The company’s strategic goal is to become an EU-calibre player over the next three to five years by acquiring several wineries in EU-member states. In pursuance of our strategy to enter the markets of Southeast Europe, we are eyeing opportunities to buy wineries in Romania, Serbia, Croatia and Greece. We are contemplating the option to buy a small winery in France, as well, as it would allow us to offer French wines on the Bulgarian market and in other countries. French wines are still the most popular ones in the world, whereas the reputation of Bulgarian wines is not too good. Which are the main areas in which you have been investing lately? We recently completed a project worth 850,000 levs to build a new microvinification winery in Korten, which will allow us to make limited series of red and white boutique wines. This new technology, which is employed by some of France’s most renowned chateaus, makes it possible to pay scrupulous attention to every detail along the various production stages. We have also invested a lot to buy new French oak barriques from the regions of Voges and Allier. Also, we have adopted the most innovative Cross flow filtering system which is crucial for maintaining the wine’s quality and purity. With this cutting-edge equipment in their hands our talented and experienced oenologists can create some remarkable wines in the coming years. Are you planning to launch new wines? Yes, we are working on creating some new wines in the medium and high price segment, which will hit the market in October, offering wine connoisseurs a product of exceptional quality at an affordable price. Do you see a change taking place in Bulgarian consumers’ tastes? Consumers in the low price segment tend to be more constant in their preferences and, in general, their tastes have not changed much in the past years. However, we observe a trend to foster wine culture in Bulgaria with customers in the medium and high price segments definitely becoming increasingly curious to try new tastes, varieties and foreign wines. In order to meet that new demand we started processing new and relatively unfamiliar for Bulgarians grape varieties such as Caladoc, Marselan, Tempranillo, Mourvèdre, Grenache, Viognier, Riesling, Sémillon, which are very successfully cultivated on Bulgaria’s terroir. This allows us to make unique wines and variety blends which the other local winemakers do not offer. The wish to meet the needs of the wine connoisseurs and collectors prompted us to set up the Enotheque Prive Club. The club’s aim is to provide information on the grape varieties and wine making technology, and on how the terroir and weather influence the wine taste; it also gives insights to wine and food pairing, ways to decanter wine, etc. When you buy expensive wine it is important that you know how to store it, when and how to open it, what food to serve it with, whether to let it breathe and for how long, and so forth. The club’s idea is to offer connoisseurs the information they need, as well as introduce unique wines and stage events that will enrich their knowledge and wine culture, and consequently – enhance their ability to enjoy a good wine. 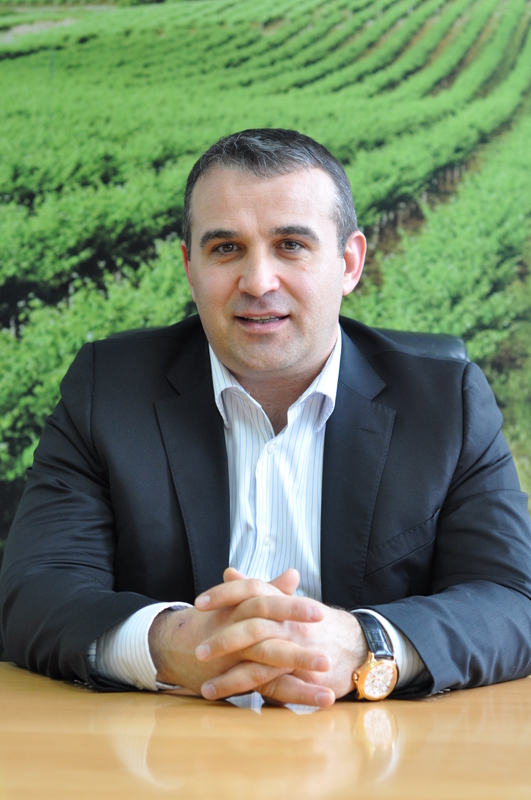 What are your expectations for the development of the wine market in Southeast Europe? Over the past few years we have been witnessing a steady growth of wine consumption in the region of Southeast Europe, which is probably due to a striving for a healthy life – we all know it is better to drink wine than liquor. And we expect that this trend will continue.